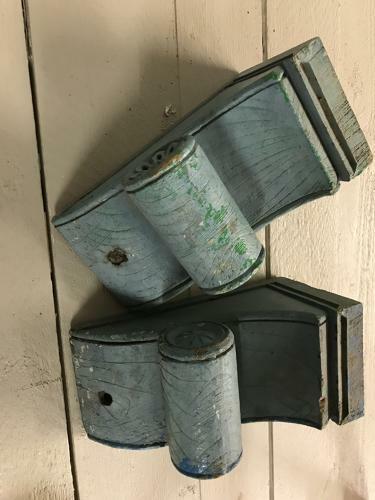 Pair of antique brackets in attractive pale blue paint. They do match however there are a few different colours in places across the two. A bit of rubbing back would even this out. Would make attractive shelf.